Call 772-222-3105 to speak with a patient care coordinator today! Plastic Surgery is more common than you may realize. In the last decade, interest in and acceptance of plastic surgery has more than doubled in the United States. This year alone, more than 2 million Americans will improve the way they look and feel through plastic surgery. Matching how we look with how we feel may also have some positive health consequences because we now realize that we are truly as young as we feel. So, if you are considering a plastic surgery procedure, you are in an ever-increasing proportion of the population that realizes that staying young and healthy also means looking young and healthy. In our practice, we strive to make you look and feel good about yourself. Good results occur when good surgeons use whatever tools they prefer to remedy a particular problem. Pick your Port St. Lucie FL plastic surgeon carefully…that is the most important ingredient for getting a good outcome… which method he/she prefers is much less important. Watch out for all the gimmickry and marketing hype out there for certain devices, many of which are being used by practitioners with very little surgical training. Plastic surgery as a specialty covers a wide variety of procedures from cosmetic surgery and skin cancer reconstruction to hand surgery. 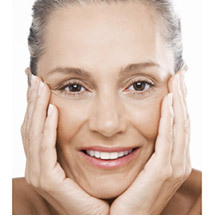 Cosmetic, or aesthetic surgery, represents a major portion of Dr. Viggiano’s practice. He is a Board Certified Plastic Surgeon Serving the Treasure Coast who is a specialist and expert in male and female facial rejuvenation and body contouring. Research has shown that specialization and a higher case volume results in greater proficiency, expertise, and ability. You can be assured that whichever procedure you choose, Dr. Viggiano has performed it many times. He has the ability, experience, and training to give you safe, beautiful, and natural results with a minimum of recovery, cost, or risk. Dr. Viggiano believes in giving back to the less fortunate. He regularly travels to places like Haiti, Nicaragua, and Honduras to help those with a deformity (see Pro Bono for photographs). There, he performs plastic and reconstructive surgeries without charge. Most of the patients he sees in these countries have no access to advanced medical care and must live with disfiguring injuries or congenital deformities for their entire lives if it were not for the surgeries performed by doctors like Dr. Viggiano.